Phew! The 2019 Today’s Bride Show is over. Sound Precision Entertainment had a jam-packed weekend meeting tons of brides, and we can’t wait to help you plan your wedding! Now that the show is over, you’re probably more than a little overwhelmed. Most likely, you have rolls of photos, piles of brochures and an inbox full of emails. So how do you sort it all out? Take your time to sort through the information you brought home from the show. You don’t need to do it all at once. Take 30 or 60 minutes a day to look through the materials. Set aside the vendors, ideas, photos, etc. you like best, and trash those that you definitely won’t use. 2. Organize your top picks. Once you’ve whittled down the information, make piles for each type of vendor. Whether it’s a business card, a full-color brochure or a picture of a head table, place flowers in one pile, venues in another, etc. Most couples choose the ceremony and reception locations first, as their availability often affects the rest of the wedding. Then you can move on to DJs, photographers, bakers and other vendors. As you did before, review one pile at a time. Decide which vendors to contact, and be sure to mention any ideas you have from the pictures or brochures you placed in the pile. File your second-string vendors away for now. You don’t want to toss them just in case your favorite vendors are unavailable or do not meet your needs. You should set appointments with the vendors you are most serious about right away. While many vendors offer deals that are valid only at the bridal show, some will extend those deals beyond the show. When booking your appointments, be sure to mention that you met them at the bridal show, and ask if these deals are still available. The closer to the bridal show you make your appointment, the better chance of receiving the deal! 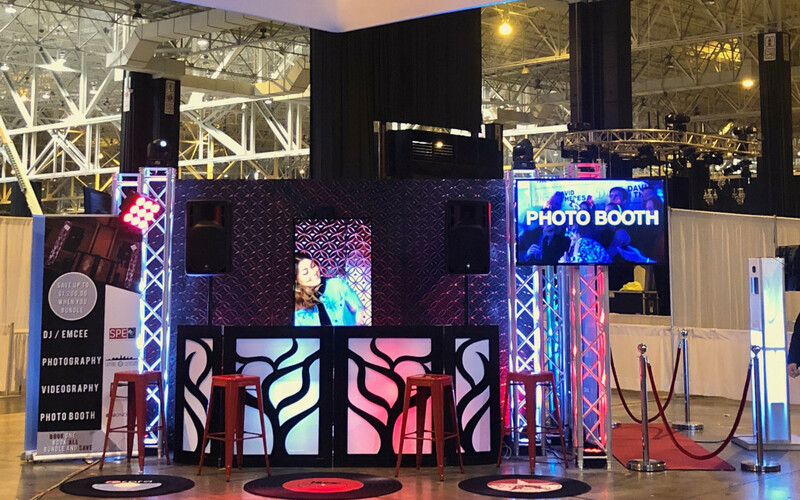 If you followed our Ultimate Bridal Show Survival Guide: Cleveland Today’s Bride Edition 2019 (and we hope you did!) then you set up a separate email address to give to wedding vendors. However, if you didn’t, don’t worry! You can create a separate address now and forward the emails. That will make it much easier to sort through wedding and non-wedding messages. If you didn’t get a chance to visit a vendor at the show, or you think you may have forgotten something, don’t sweat it! You can visit this link to check out pictures from the show, which might help jog your memory. You can also still view the exhibitor list here. SPE is still offering the fantastic bundle deal it offered at recent bridal shows. Save up to $1,200 with four brands: Sound Precision Entertainment; Capture Cleveland Photography, LLC; Red Frame Videography; and Monocle Photo. For more information, contact SPE at (216) 870-4513 or scott@spedj.com.